Lisa Brown Roberts is a favorite of mine in the young adult genre, finding her teen characters to be realistic role models, and the narrators of Playing the Player are no different. As an adult reading this genre, I believe teens will devour this book, as well as a more mature audience. Trina is a hard-working, serious girl, who's as equally flawed as she is good. A well-rounded, human character with pain and hopes and dreams. Slade is a slacker who has no idea what he wants out of life. He's a down-to-earth, uninspired charmer who can wrap anyone around his finger. But no matter how big of a player he comes off to be, he has a good heart and a conscience. Trina and Slade create the perfect balance as they get to know one another on the pages of the novel. A bit of a love-hate, push-pull chemistry and tension as they partner in their nanny duties. Both have a secret that will hurt the other's feelings, creating delicious angst that rides along the journey with the characters, both feeling guilty. As the driving force between the couple, the kids were a hoot, the BFFs were the voices of reason, and the parents were trying their best, even if unconventionally. All around, Playing the Player was a good story, with strong characters, and the budding romance of a sweet crush. I read the book in one sitting, a few times experiencing a gamut of emotions: heart-clenching, gut-twisting, and barks of sharp laughter at the awkward encounters. Recommended to fans of the Young Adult genre. 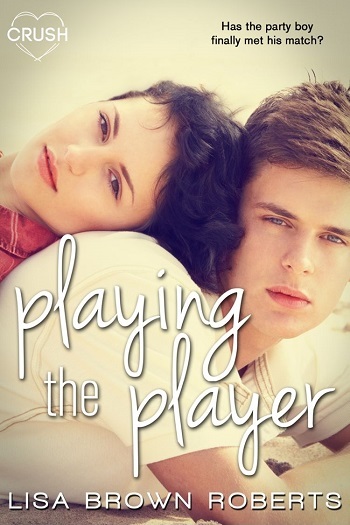 Erica reviewed her personal copy of Playing the Player by Lisa Brown Roberts for this post.